The Jolly Rogers (the 90th Bomb Group) and our Kensmen had a rivalry going on, with the 90th getting all the press, according to our way of thinking. 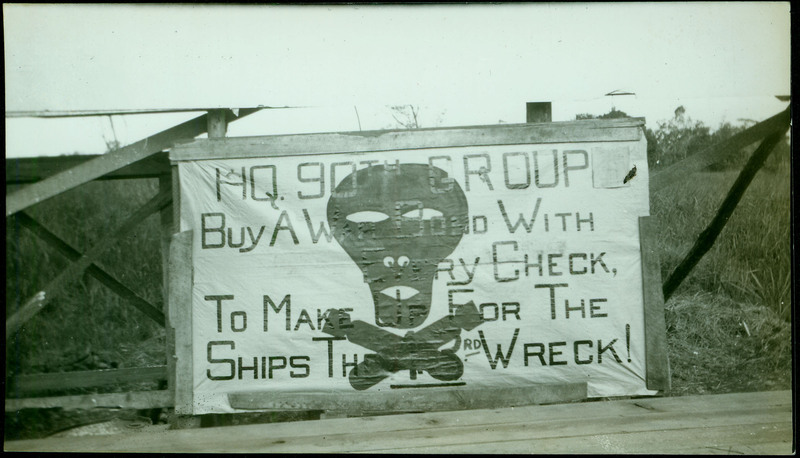 The above picture shows a sign the Jolly Rogers put up to tease the Kensmen. We did the same sort of thing back, I assure you. To Make Up For the Ships the 43rd Wreck!